Most rotary screw compressors inject compressor oil into the compression chamber when the air is being compressed. This oil serves as a coolant and provides lubrication by absorbing heat of compression. The compressed air is full of oil when it leaves the compressor air end. This oil needs to be removed and returned to the oil sump, so that the same oil can be circulated again. The Air Oil Separator removes this oil which is in aerosol form from the air, so that the user gets oil free air. The Air oil Separator is the component that separates the compressor lubrication oil which may be mineral oil or synthetic oil from the compressed air and returns it to the Oil sump. With innovation in approach & precision in application, we have gathered rich industry experience working with most of the humongous organizations in India. We offer clean room validation & acoustic insulation service to our valuable customers. 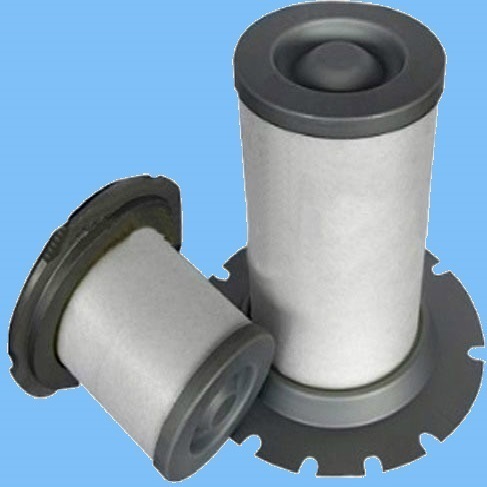 Our industrial filters are highly acclaimed & have been welcomed by one & all. Our range of industrial filters includes filter bags, panel filters, filtration systems along with fabrication products. With the addition of perforated sheets, expanded metals, cable trays & chicken mesh to our artillery, we had announced our arrival to the light metal fabrication industry about a decade back, & since then, there has been no turning back. Competitive prices, constant upgradation of manufacturing procedures, & inception of modern testing facilities have helped us carve a space of our own in the industry. Our organization is constantly supported by a team of experienced quality controllers which monitors every stage of production to ensure that only quality range of our products is offered to our clients. Furthermore, owing to optimized working procedures, capacious warehouse & wide distribution network, we have always managed to satisfy our customers with timely delivery. The driving force behind the formulation of our premium quality product range is the never dying quest to serve the industry with perfection & professionalism. This company was founded on the belief in the importance of strong & innovative solutions that transcend beyond the concept of what is possible, & for the past three decades, we have remained firm on this belief that nothing is impossible to achieve.